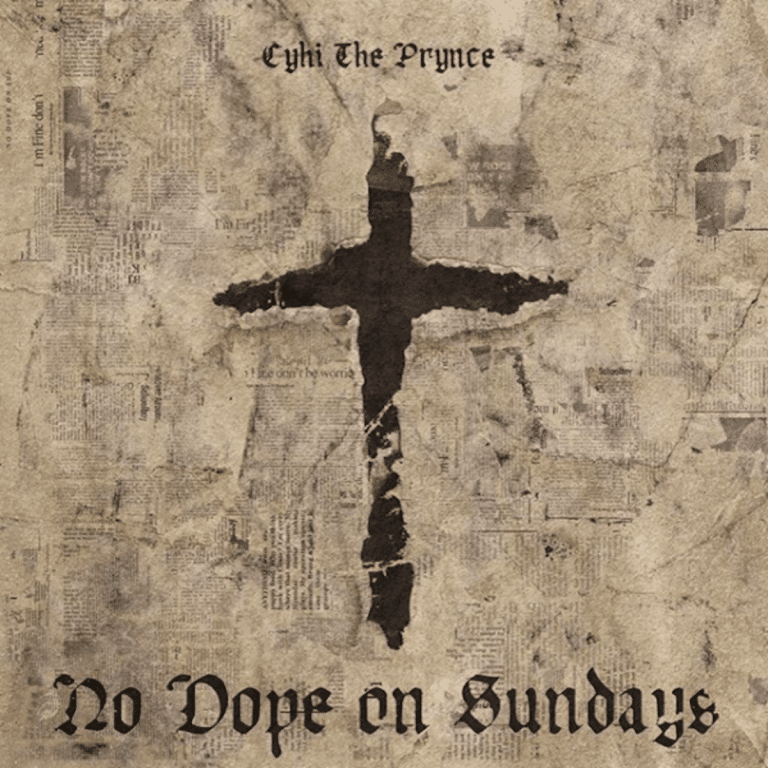 It’s been a long, long time coming and I wasn’t necessarily sure that it would ever actually happen, but Cyhi The Prynce has finally had his day of reckoning with his debut album, No Dope on Sundays. He’s been somewhat of a polarizing figure amongst fans, people tend to consider him boring or the savior of hip-hop with very little in between. I’ve found myself wavering as the years have gone by but I have always been rooting for him as I’ll always be on the side of true lyricists. No matter how you may feel about him, there’s absolutely no denying his abilities as a lyricist. He has all the technical prowess to compete with the biggest names in hip-hop and No Dope on Sundays is absolutely chock-full of inventive punchlines, layered stories, and dense bars. But that’s never been my problem with him as an artist. My problem has been that he hasn’t consistently shown enough significant levels of charisma or creativity of even some of his label mates to make me truly believe he’ll be a star in hip-hop. It’s a problem that he doesn’t really shake in his debut either. Yes it is very good album that’s generally a good listen from front to back but nothing really jumped out at me that made me want to go back to over and over again. Not to mention the fact that I couldn’t shake the feeling that I was listening to something recorded over the course of many years, with some clearly old concepts and songs mixed with more recent creations. But despite this feeling, the fact that he even finally dropped is a big first step in the right direction; I’m just still not sold on him as a star and need to hear more. Have you heard No Dope on Sundays? What’d you think about it? Do you think it proved that Cyhi The Prynce is in fact a star? Let me know in the comments below and be sure to leave your own ratings and reactions for the album. No Dope on Sundays once again reinforced Cyhi The Prynce's immense ability as a lyricist but still left me with uncertainty about him as a true 'star' in hip-hop. Despite this, it's still a very good album and the fact that it finally saw the light of day is a big first step in the right direction.